Samsung announced this spring that security app LoJack would soon be built into the Galaxy S4. The necessary firmware arrived on most North American variants of the S4 in recent weeks, and now the service is live to take advantage of it. 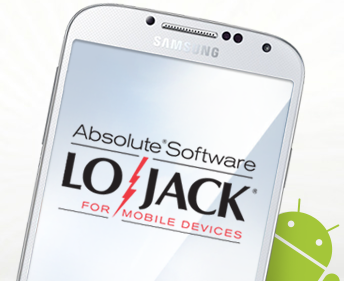 LoJack can be activated on your Galaxy S4 today for $29.99 per year. In return for your money you get phone tracking, remote wipe, and recovery assistance. The LoJack app is built into the firmware of the device, making it persistent through factory resets (but probably not ROM flashes). This can be done manually on rooted devices with apps like Cerberus, but the people able to do that aren't really the market Samsung and Absolute Software (the maker of LoJack for Mobile) are going for. All you have to do here is go to the LoJack website, register your device, and pay up. Then Absolute Software claims it will work with law enforcement to recover stolen phones, which is pretty cool if they're serious about it. The service is only available in North America, and only on the Galaxy S4 and S4 Active. AT&T, Sprint, and Verizon have already pushed out the update with LoJack built-in. T-Mobile looks to be the only one lagging behind. Full PR is below. VANCOUVER, July 17, 2013 /PRNewswire/ - Absolute® Software Corporation (TSX: ABT), the industry standard for persistent endpoint security and management solutions for computers, laptops, tablets and smartphones, today announced LoJack™ for Mobile Devices is now available for purchase for protecting Android smartphones starting with the Samsung GALAXY S4. LoJack for Mobile Devices is the first Consumer theft recovery solution for Android smartphones and available for purchase through the LoJack for Mobile Devices website. Leveraging the same Absolute persistence technology used in Computrace® LoJack® for Laptops, the solution cannot be removed by a factory reset once the app is installed by the user and activated. When a protected Samsung GALAXY S4 smartphone is stolen, the Absolute Investigations and Recovery Services team will work with law enforcement globally to get the device back. Users can also remotely lock, locate their device or delete sensitive files to prevent identity theft. "Absolute's Computrace and LoJack for Laptops have provided trusted theft protection and theft recovery for laptops and desktop computers for almost 20 years. Now we have expanded our support through LoJack for Mobile Devices to Android smartphones starting with the Samsung GALAXY S4," said Mark Grace, Vice President, Consumer at Absolute Software. "Smartphone theft is a worldwide epidemic; I commend Samsung for working with us to take steps to stop this serious issue using Absolute persistence technology. With Absolute persistence technology embedded in Samsung GALAXY S4 smartphones, the owner can activate the 'kill switch' and with LoJack for Mobile Devices tracking and location solution those responsible for theft can be identified or located and held accountable." "Laptops, netbooks, tablets and smartphones embedded with Absolute persistence, and protected with Absolute Computrace, allow investigators such as ours to work collaboratively with the Absolute Investigations and Recovery team to recover these devices when they are reported stolen," said Sherriff Leon Lott at Richland County Sheriff's Department. "Now that Absolute persistence is embedded in the Samsung Galaxy S4 smartphone, device thieves will be deterred and if they are stolen, we can work with the Absolute Recovery team to recover them."